This one goes out to all of my fellow gluttons out there- and to all of your inner fat kids just waiting to step out of the shadows. 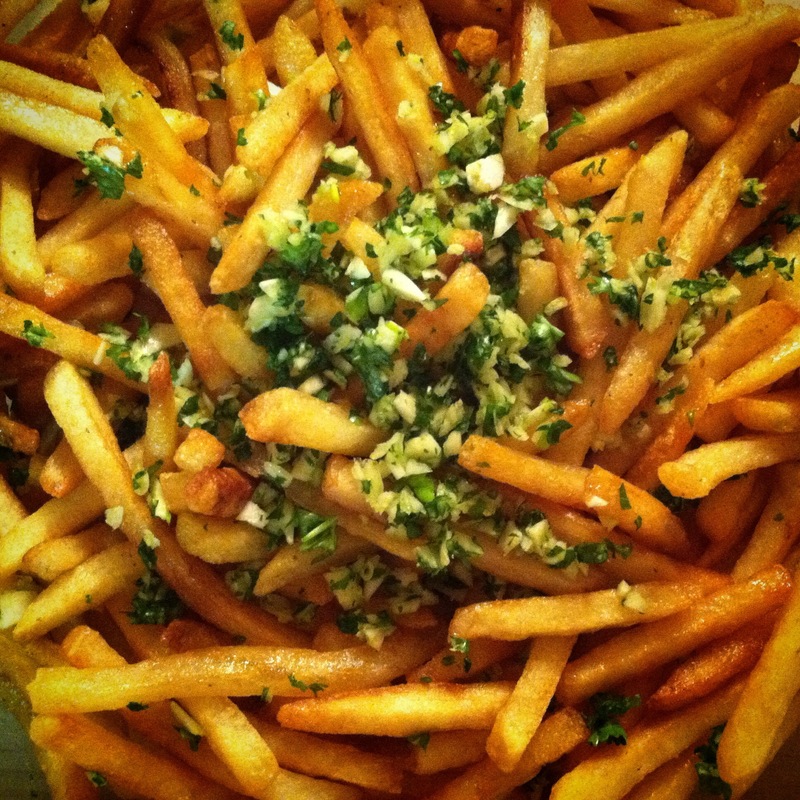 You know your inner fatty is pining away waiting for his/her moment when they can roll around in a big mass of greasy, crispy, crunchy, and salty french fries topped with the most delectable of all toppings. Yea, this is for you. You know, it is whispered that these sinful little gems make even the devil blush. I am just saying [because no one ever reads these little blips]… if its enough to make the diablo himself blush, sign me up. 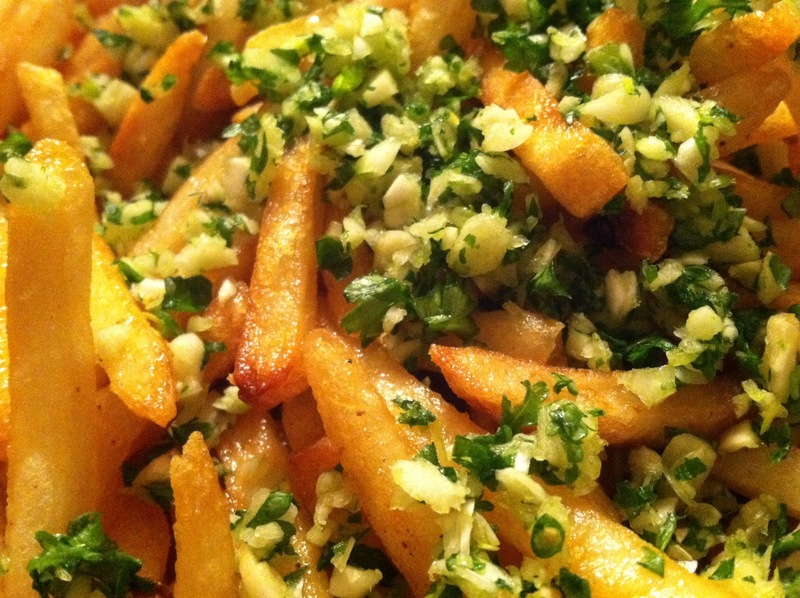 I am talking super crispy fried french fries topped with fresh minced garlic and parsley, then to take it to a whole other level, we lightly drizzle these guys with some White Truffle Oil. Then, if that wasn’t enough, we are kicking it up a notch here. 1 out of 7 of the deadly sins just wasn’t enough for us (we already admitted to gluttony) we also have sloth because I made these with frozen french fries. That is for both convenience and laziness. Now there we have it…. 2:7 of the deadly sins…. The price we pay for committing these traitorous acts? One night in purgatory. That is it. [Oh and maybe another inch on your waist line, but no one is judging]. Its okay though, one night is one night! 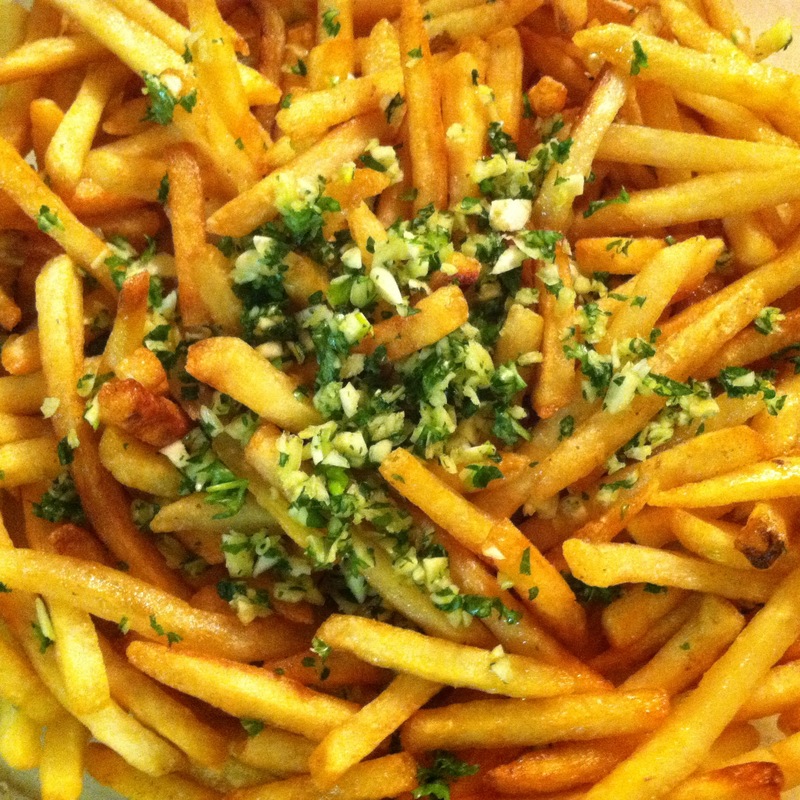 And just think, when the devil asks you why you are there, you can make him blush by telling him you sinned with a big ole’ bowl of truffle fries! 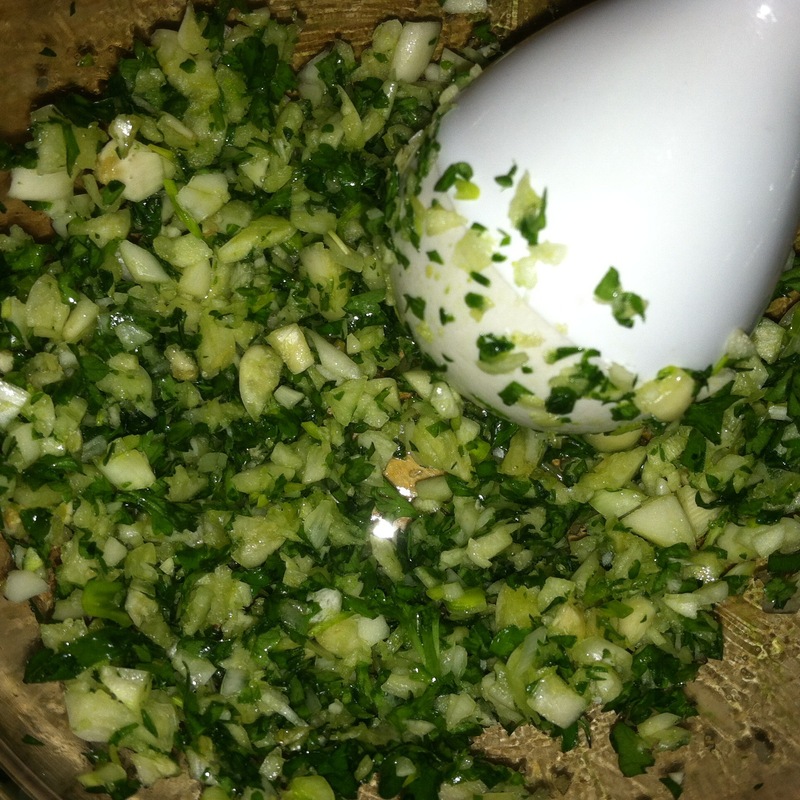 Smash and mince your garlic into smithereens then finely chop your parsley and set both aside. 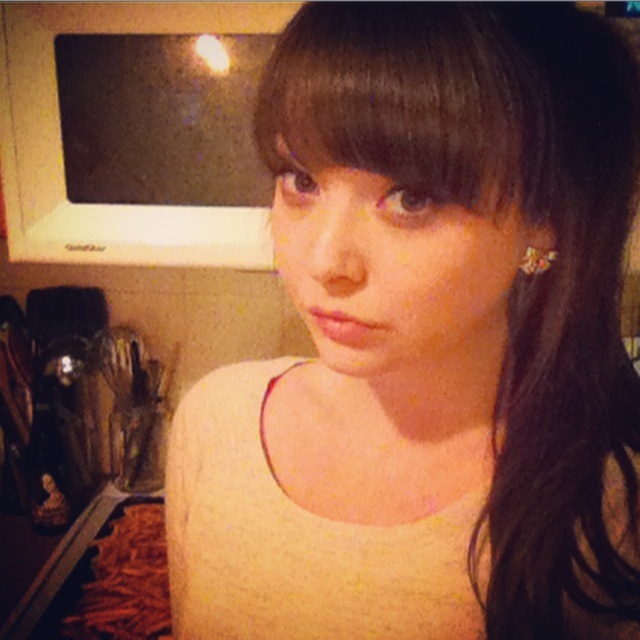 Cook your fries using your preferred method. 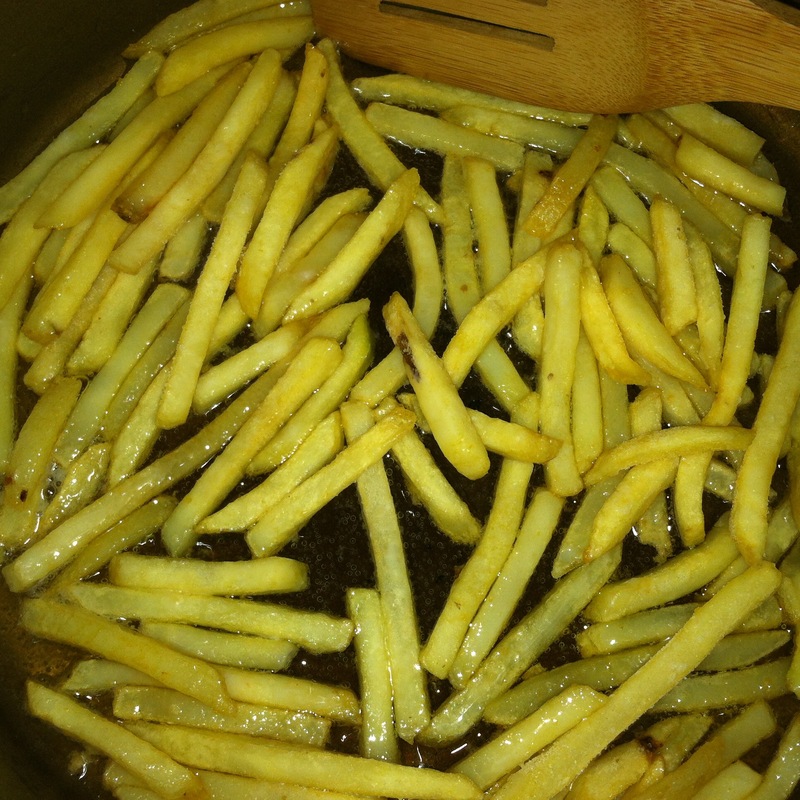 If you are pan frying like me, heat your oil in a skillet and once hot, carefully drop in small batches of fries so that they cook in a single layer. 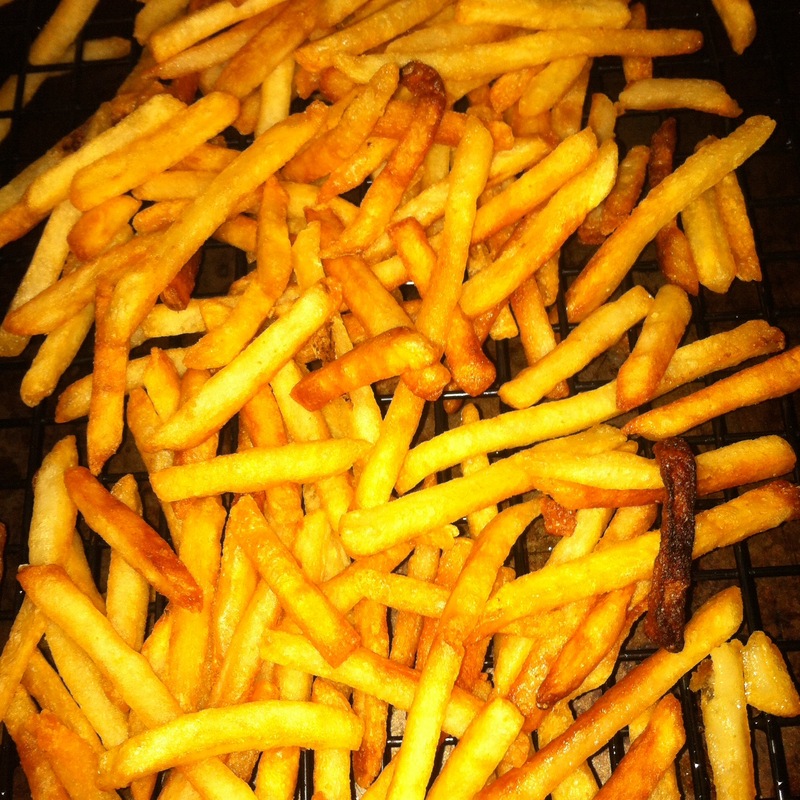 Once crispy and golden, remove your fries from the oil and allow to drain on a cooling rack over paper towels or a baking sheet. 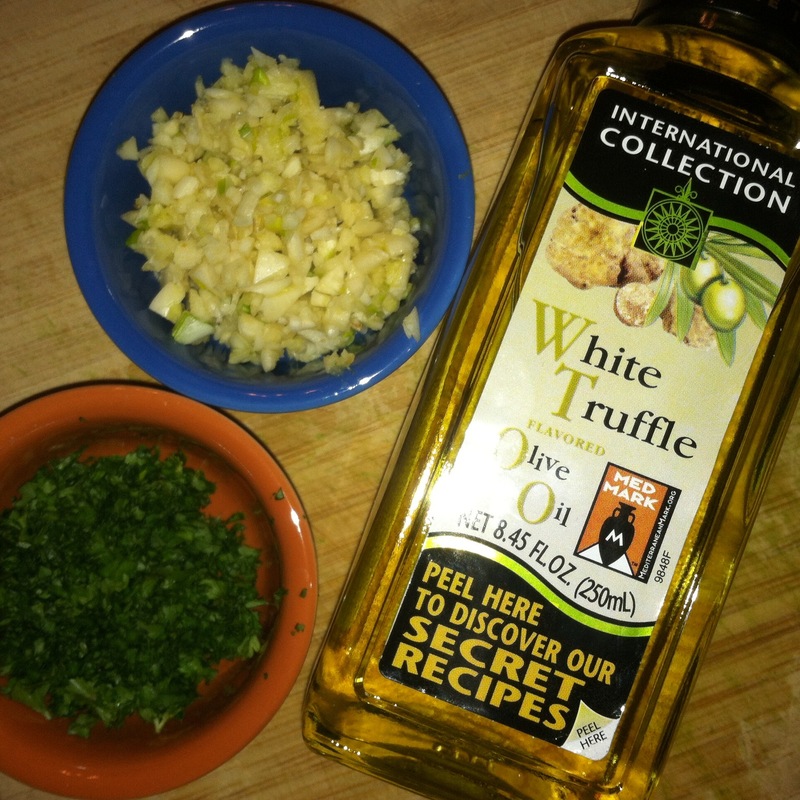 Combine garlic and parsley and mix well either using a mortar and pestle OR the flat of a spoon. The key is to smush it up just a little so that it is not exactly a paste but still pretty happily combined. 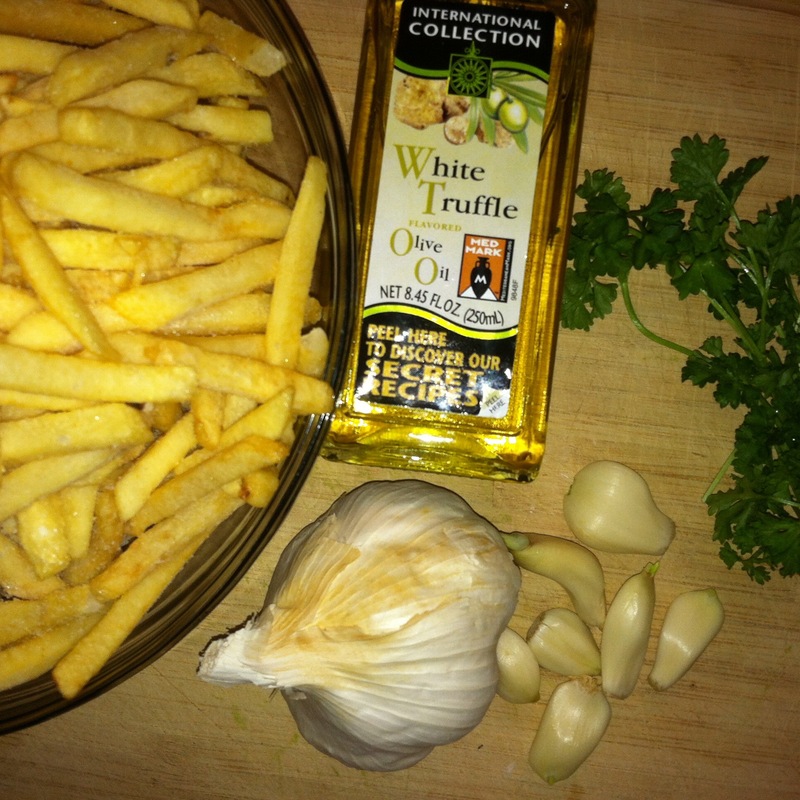 Transfer your fries to a large bowl or platter and drizzle lightly with the White Truffle Oil tossing well to coat. 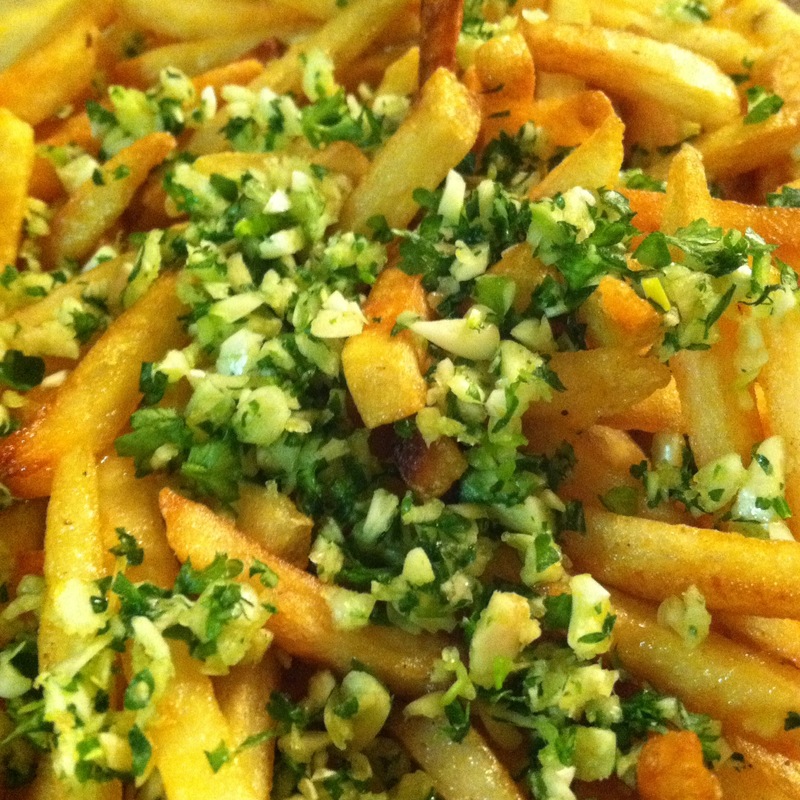 Finally scatter your garlic and parsley mixture on top and enjoy the fruits of your labor! If you really want to make it more interesting, add a bit of freshly grated parmesan cheese! I wont judge!